You’ve seen the Arts Centre’s spire, the MCG and Parliament House, but do you know their secrets and hidden spaces? Take a guided tour and get better acquainted with the architecture, history and often rarely seen treasures of these special places. 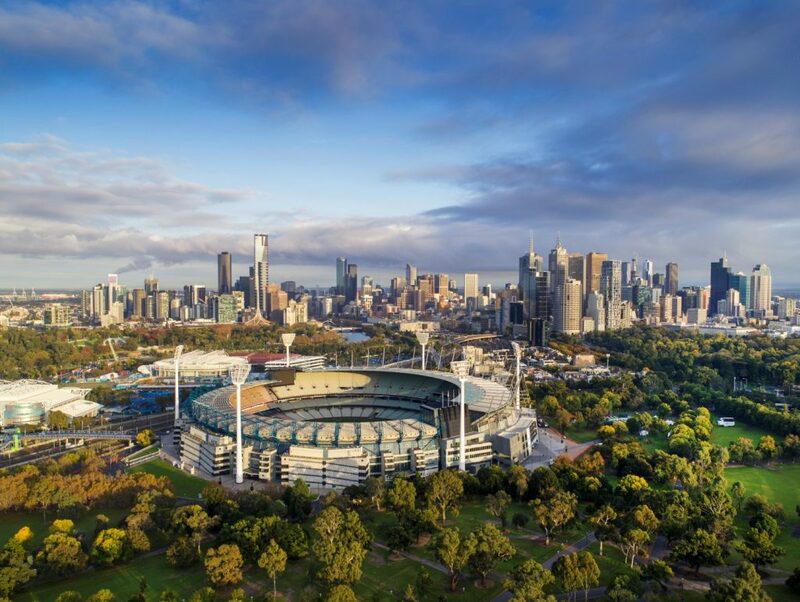 Fancy a stroll across the hallowed turf of the Melbourne Cricket Ground? That’s just one of many amazing moments of the guided MCG Tours. Other highlights include visiting the player change rooms, Melbourne Cricket Club Library and the legendary Long Room. Tours are usually available between 10am and 3pm, but might have restricted access, or not be available at all, on event days. So plan ahead before booking tickets, which are $25 for adults, or go large with National Sports Museum entry too. 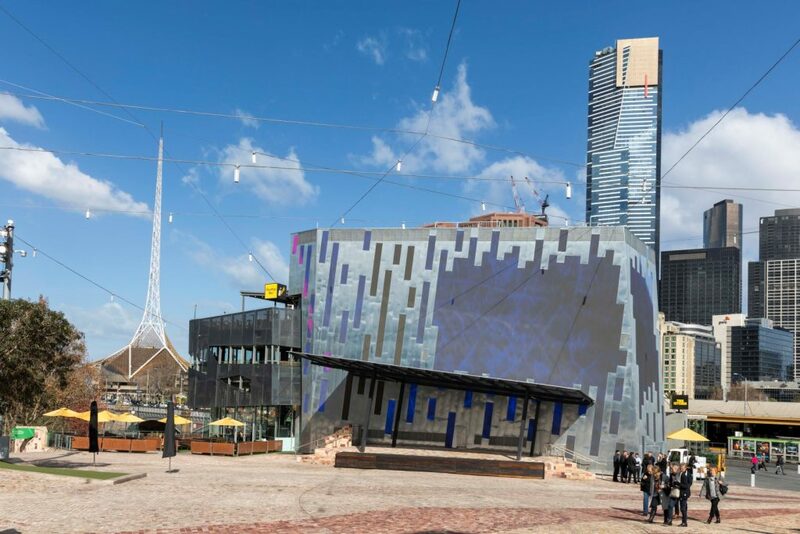 Opened in 2002, this modern piazza is one of Melbourne’s contemporary architectural icons. 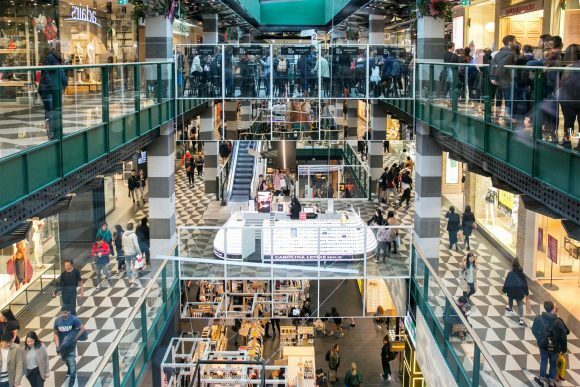 The Fed Square Guided Tour explores this three-hectare site’s history, engineering and distinctive architecture. From the textured, undulating sandstone paving to the buildings’ angular, geometric Deconstructivist exteriors, it’s a must for design fans. Tours happen at 11am daily except Sundays, with no bookings required. 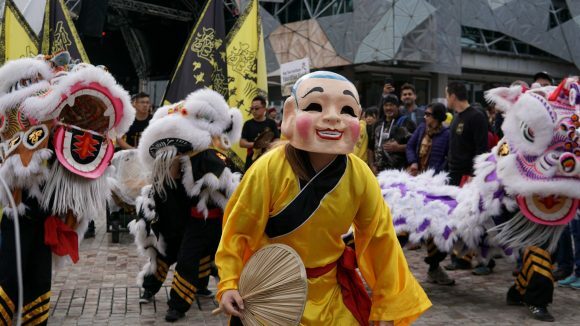 Federation Square. Photo by Dan Soderstrom. 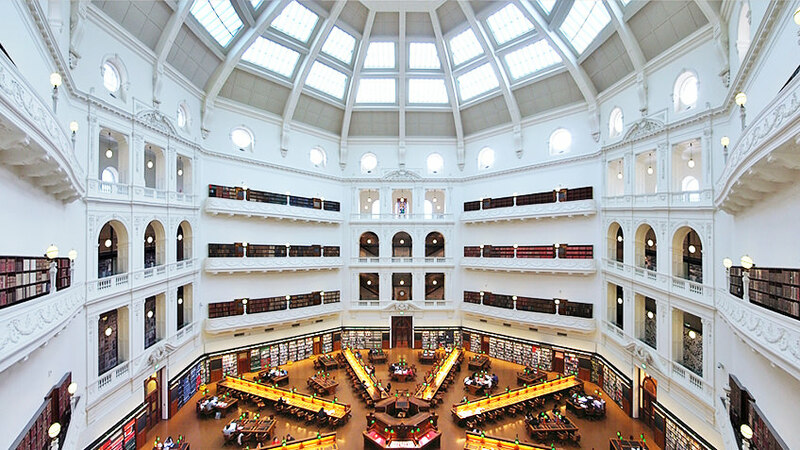 From its columned facade to the majestic domed reading room, the city-block-sized State Library of Victoria is a 19th century treasure. 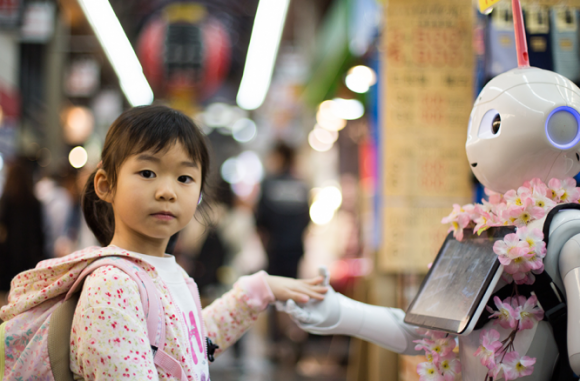 Join a Welcome to the Library Tour to get insights about its past, as well as its many modern features and services. They’re free with no bookings required, so just lob up before the 11am departure any day except public holidays. The library’s other free tours include semi-regular Dome to Catacomb behind-the-scenes tours. 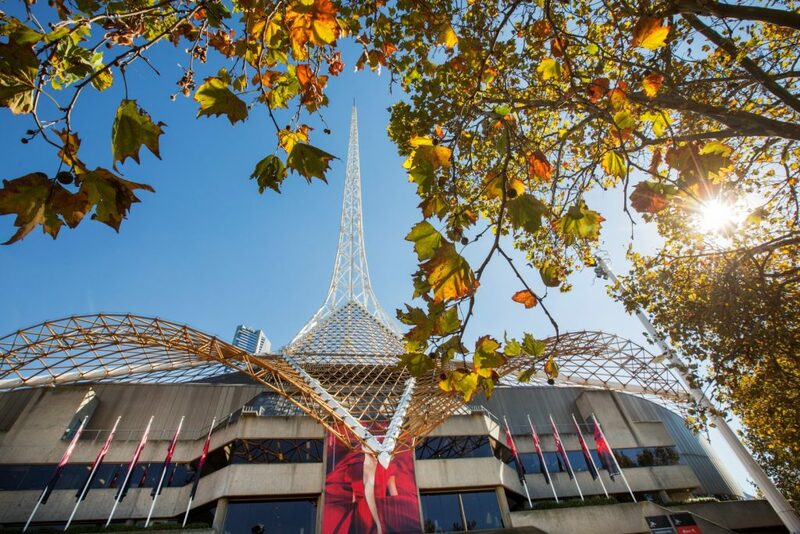 What’s under Arts Centre Melbourne’s 162-metre spire? A lot more than you might think, as this 1980s building extends five floors underground and includes three theatres. Guided tours at 11am Monday to Saturday reveal some of its secrets and treasures, including an epic collection of 20th century Australian paintings. Or literally go behind the scenes with a backstage tour on Sundays at 11am. Either way, adult tickets are $25. Before handing over your hard earned, consider checking if the tour will be limited by performances or other operational requirements. Melbourne Recital Centre has the acoustic and architectural qualities of the great old-world concert halls but on a smaller chamber-music scale. 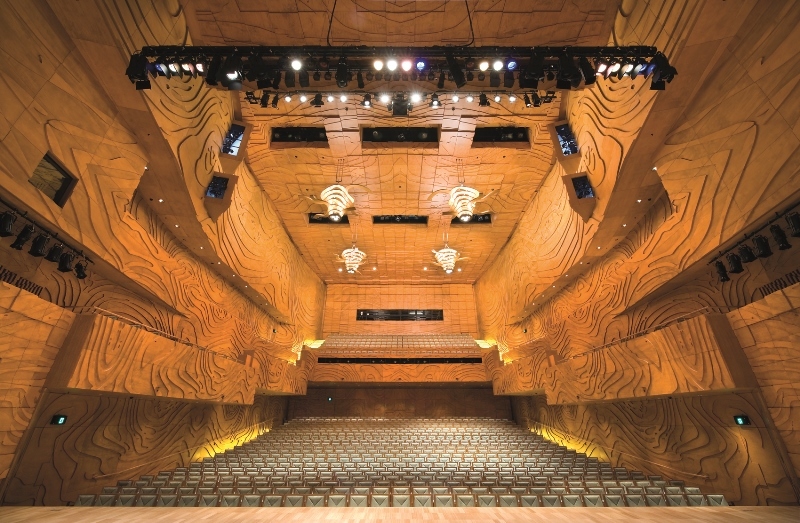 Inside, the building has two main venues: the 1000-seat Elisabeth Murdoch Hall and the multi-purpose Salon. The former is particularly breathtaking, fitted with warm textured timber panelling that optimises the acoustics. Outside, the hexagonal, honeycomb-like walls and windowpanes make the building incredibly striking. It opened in 2009 and has just celebrated its tenth year anniversary. Celebrate with a tour and add in breakfast or lunch at Blondie Bar or Script Bar and Bistro. 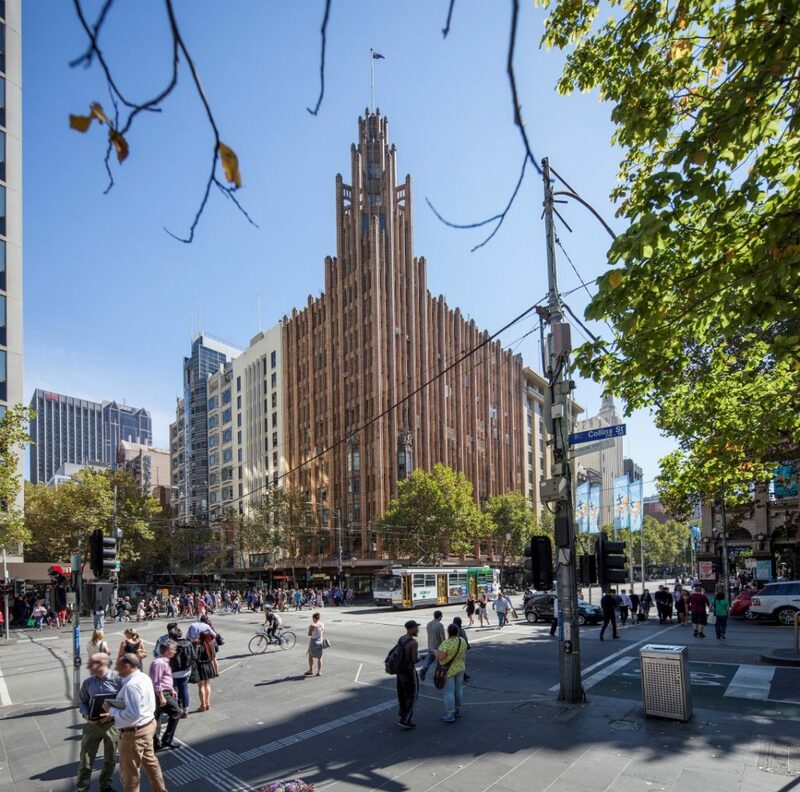 One of Melbourne’s most striking structures, the Manchester Unity Building is a wonder of streamlined Art Deco Gothic design. The tallest building in town when completed in 1932, it also boasted Melbourne’s first escalator. Don’t just admire it from the street! Sunday tours get you inside, including the beautiful wood-panelled boardroom, and up to the rooftop to admire the tower. 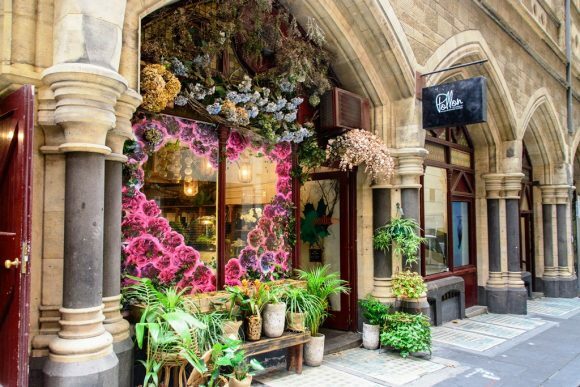 Breakfast, lunch or afternoon wine and cheese at the marble arcade’s 1932 Cafe & Restaurant is included. Tickets go fast so book early. 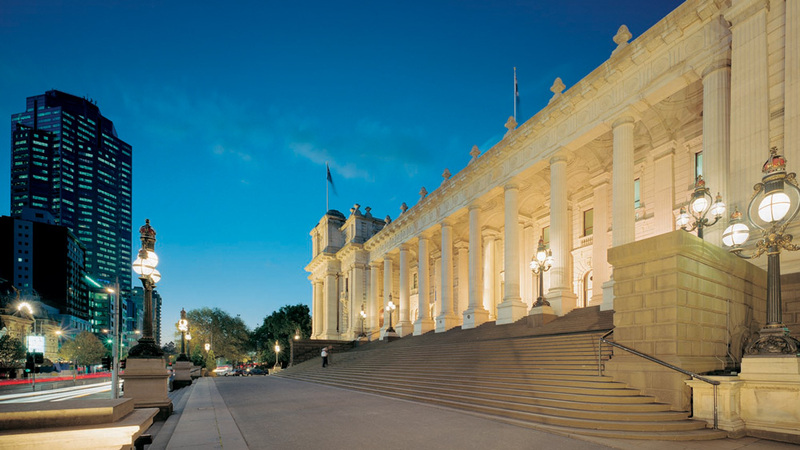 One of Melbourne’s most magnificent 19th century public buildings, Parliament House is where the state of Victoria is governed from. Free tours are offered several times a day, Monday to Friday, whenever Parliament isn’t sitting. Wonder at the building’s abundance of Gold Rush-era marble, chandeliers, gilding and polished wood. See inside the two legislative chambers. Say hello to the statue of Queen Victoria and portraits of every Victorian premier. There are also regular tours focused on particular features, like the architecture or gardens, for which bookings are required. 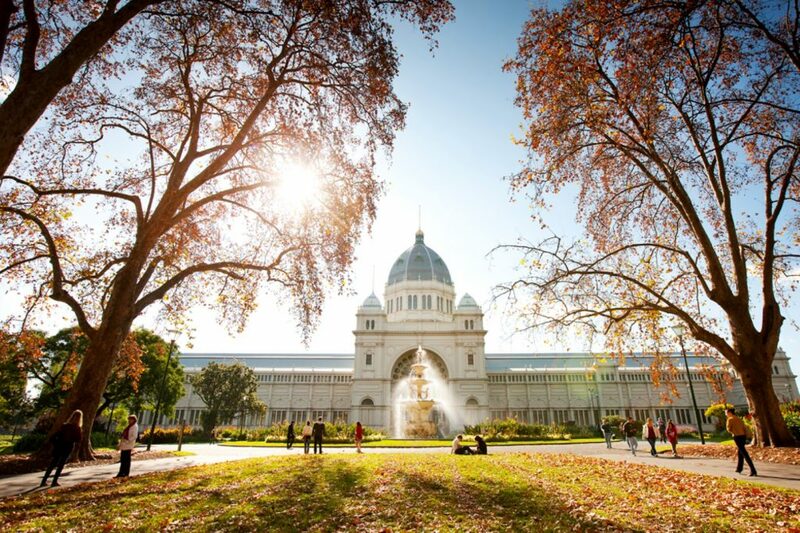 Melbourne’s only UNESCO Heritage-listed site, the Royal Exhibition Building opened in 1880 to host that year’s International Exhibition (and again in 1888). It was the biggest building in Australia at the time, and went on to host the first Australian federal Parliament in 1901. Take a tour of this grand old dame to learn more about her history and design, inspired by several Italian architectural styles. They’re available most days at 2pm, departing next door at the Melbourne Museum, where tour tickets ($10 adult) are sold. This memorial to Victorians who served in World War I – many of whom were buried far away – opened in 1934. 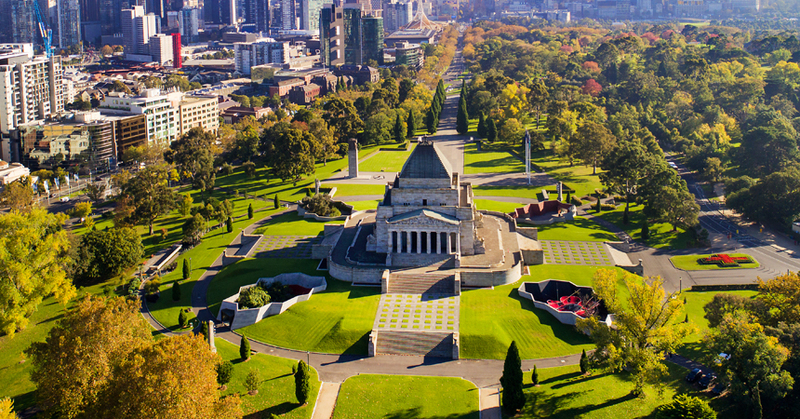 Since then, the Shrine of Remembrance has become a place to honour all who have served in war and peacekeeping. Guides tell important stories from the past, and explain the building’s symbols and design, inspired by classical architecture like the Parthenon. Tours are at 11am and 12.45pm daily, and cost $34 for adults. Or upscale to the Tour and Tiffin package, which includes tasty treats from Shannon Bennett’s Jardin Tan cafe nearby. Admire wood-panelled council chambers, wave at strangers from the portico balcony, and check out the massive pipe organ. 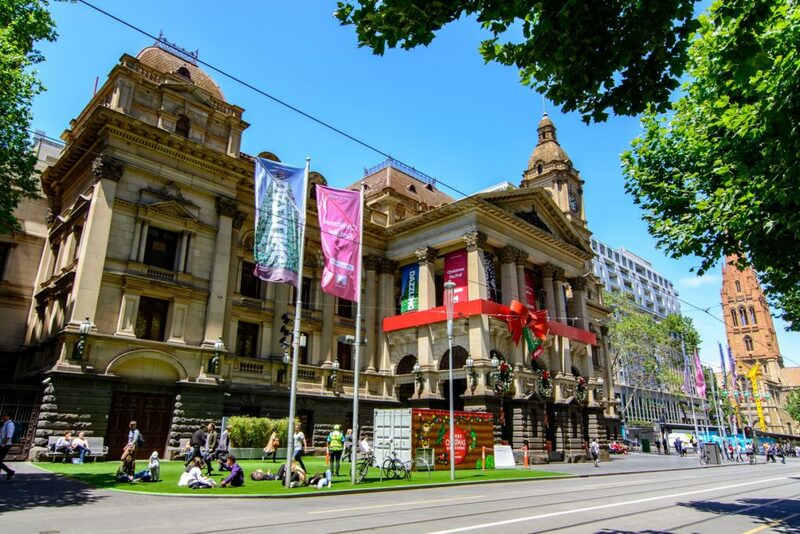 Melbourne Town Hall Tours offer all this and more, as you explore the 1870 building designed in the stately Second Empire style. They kick off at 11am and 1pm weekdays except Tuesdays, and are free, but bookings are required. Its white tower topped with a golden version of Australia’s flag is visible for miles around, but have you been inside? 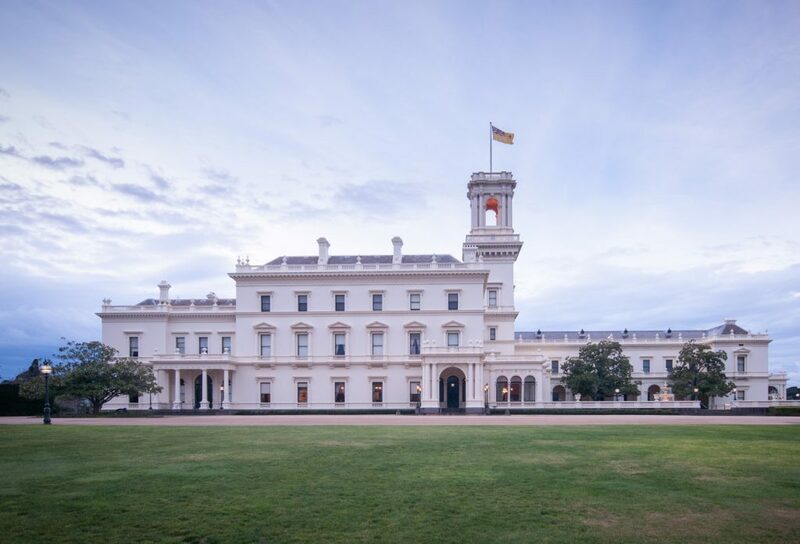 The Government House Tour reveals the massive Italianate residence of Victoria’s Governor (you know she’s in the state if the flag’s flying). Completed in 1872, its eye-popping spaces include the state dining room and grand ballroom – it’s bigger than the one in Buckingham Palace! Tours are at 10am Mondays and Thursdays, and include nearby La Trobe’s Cottage, the more humble abode of Victoria’s first vice-regal representative. Adult tickets are $18 and bookings are essential.